Here’s my girl crush this week…. For those of us who think that anything we buy on grocery store shelves is safe for us and our families, we’d be well advised to think again. Now, that might sound annoyingly alarmist; something proffered up by liberal left-wing whack jobs prone to conspiracy theories. But it is just the opposite. You’re about to meet Robyn O’Brien. Robyn was a very successful businesswoman, establishing a very successful career as a food industry analyst, happily living for years in the assumption that the food available in our markets was generally safe for her family. Then, one morning, her perception changed. Listen to her story, because it is OUR story, and be inspired. This is 18 meaningful minutes. What You Can Buy: Heirloom, organic, GMO-free seeds for over 1,400 fruits and vegetables. from purple cauliflower to allow watermelon, to just fantastic, tasty varieties of veggies, fruits and flowers. “Grow your own” never tasted so good. Whether you’re ready to grow your own goodness from seed or pull your harvest from the organic aisle at your local grocer or farmer’s market, the following 8 foods should top your list every week. We’re always hearing natural health experts and nutritionists touting leafy greens – and with good reason. These impressive, nutrition-packed veggies contain folate, calcium and other nutrients that support bone health, protect against cognitive decline and help prevent age-related eye problems (http://chealth.canoe.ca). More significantly, these green veggies boastpowerful anticancer properties. 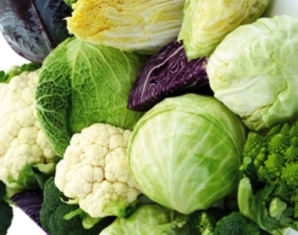 Diets high in cruciferous veggies like broccoli also help reduce the risk of memory loss. Crucifers and leafy greens like kale, Swiss chard, escarole, beet tops and spinach make delicious additions to all kinds of dishes, including stir-fries, salads, stews and soups. This little peach-like fruit may appear fragile but it packs a potent anti-aging punch. The bright orange exterior of apricots comes from carotenoids, powerful antioxidants that help prevent heart disease, reduce bad cholesterol levels and protect against cancer. Our bodies convert the carotenoid beta-carotene into vitamin A, which contributes to healthy eyes, skin, hair, gums and glands. 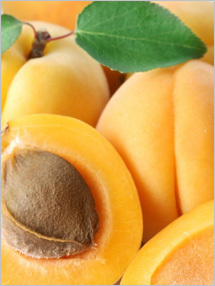 Years of research has proven that apricots possess thehighest levels and widest variety of carotenoidsof any other food. They are also excellent at regenerating body fluids, detoxifying the body and quenching thirst (http://blog.everythingantiaging.com). 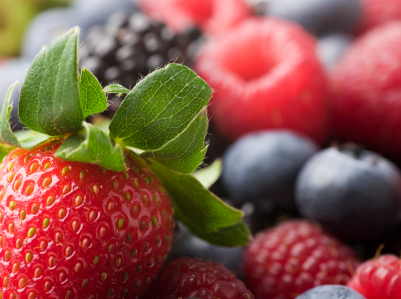 Scientists have found that berries have some of the highest antioxidant levels of any fruits (measured as ORAC). Kale and spinach are the only vegetables with ORAC values as high as fresh berries (http://berryhealth.fst.oregonstate.edu). Fresh berries are also chock full of phytochemicals and color pigments called anthocyanins that have been associated with a lower risk of certain cancers, urinary tract health, memory function and healthy aging. Italians are known for their long lifespan and ability to age gracefully, and this should come with no surprise considering that olive oil is a huge staple in their Mediterranean diet. 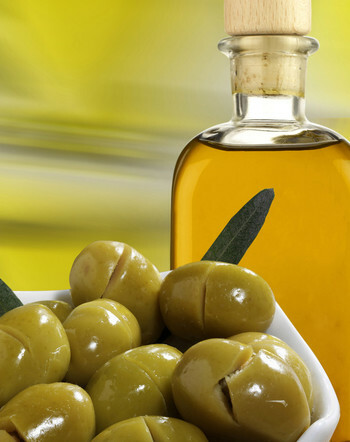 Olive oil is packed with the best health-forming fats available in the form of omega-3 fatty acids. These necessary fats not only help to keep you lean and heart-healthy by reducing inflammation, they also lower cholesterol andimprove skin circulation and digestion. All of these factors lead to a healthier body and a longer life. The huge antioxidant boost you’ll get from wild salmon will get your skin glowing faster than almost any other type of fish. Wild salmon’s pink hue comes from a diet of nutrient-rich krill; this offers a healthy dose of the beneficial pigment astaxanthin, which has notable anti-inflammatory properties. 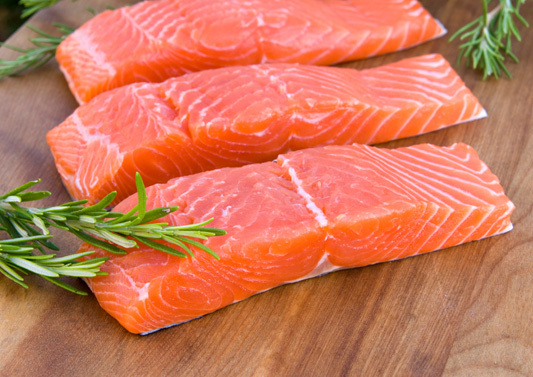 Another antioxidant in salmon, the mineral selenium, protects healthy skin cells by fighting off free radicals. It also helps the thyroid function properly, which keeps both your weight and overall health in check. Eating tomatoes may help protect your skin, according to German researchers. Volunteers swallowed a daily shot of tomato paste mixed with extra virgin olive oil or just plain olive oil for 10 weeks. After daily exposure to UV light, the tomato group had 40 percent less sunburnthan those who consumed only olive oil. The magic ingredient in tomatoes is lycopene, which protects skin from the oxidation that results from sun damage and leads to wrinkles. 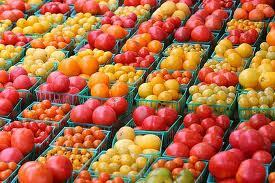 Drizzling tomatoes with a little healthy fat like olive oil helps you better absorb the lycopene. 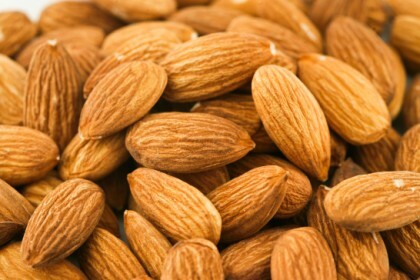 Almonds are packed with hard-to-get vitamin E, and just one small handful offers half your daily dose. Raw almonds are the healthiest form of this nut, delivering a higher nutritional content in a pure, unprocessed form. When researchers from several leading medical schools looked at the impact of different vitamins and minerals on speed, coordination, and balance in people over age 65, the only one that made a difference was vitamin E. Volunteers with the weakest physical performance had the lowest levels of E, whereas more agile participants had adequate amounts of the vitamin in their system. This power vitamin keeps us coordinated byneutralizing free radicals in both our muscles and nervous system. 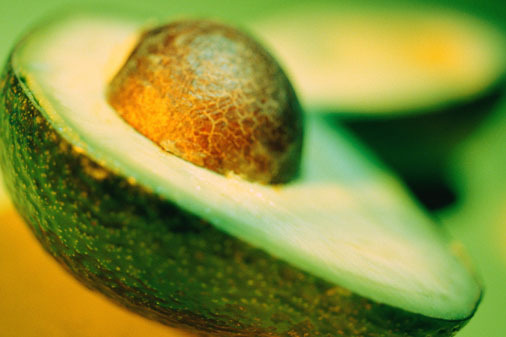 Brimming with the highest quality omega 3s, avocado is one of the most alkalizing foods available. Avocados are also very high in vitamin E, which is essential for glowing skin, shining hair and keeping wrinkles off your face. Have a raw avocado salad or cover some fresh avocado with lemon and sea salt for a nutritious snack. Need more motivation? For starters, let’s concentrate on stuff we can see. If your skin is improving I can pretty much assure you that other good things are happening that you can’t see. The list above can have visibly profound effects on your skin. Just in case we have forgotten our world history and think that the turbulence in the Middle East is something new, take 90 seconds to review 5,000 years of coupes and conquests in that hotbed…. FABULOUS post today! The Peep cartoon is CLASSIC! Great share with Robyn O’Brien’s Ted talk! Great post… Robyn is amazing, I want to be on her “team”.